Draft: 1998, Philadelphia Phillies, 9th rd. Ryan Michael Madson...Graduated from Valley View (CA) High School...He and his wife, Sarah, have five children: Ella, Luke, Sean, Tyler and Ben...His uncle, Steve Burr, played in the Boston Red Sox and Texas Rangers organizations from 1969-76. Began the season with Oakland before being acquired by the Nationals in July, bolstering the back end of Washington's bullpen... Went 3-0 with one save and a 1.37 ERA (3 ER/19.2 IP) in 20 games for the Nationals...Struck out 28 batters, walked just three and did not allow a home run with the Nationals...Secured 11 holds...Was one of 11 different Nationals relievers to secure at least one save for Washington this season, most in the Major Leagues...Posted a 0.81 WHIP and an opponent slash line of .186/.240/.243...Finished the season ranked fifth in the Major Leagues in WHIP (0.80) and strikeout-to-walk ratio (7.44)....Offered scoreless relief in 18 of 20 appearances with Washington...Owned a 2.06 ERA (9 ER/39.1 IP) and ranked in the top ten among Major League relievers in WHIP (7th, 0.79), walks per 9.0 IP (8th, 1.37), and strikeout-to-walk ratio (9th, 6.50) in 40 appearances for the Oakland Athletics at the time of the trade...From June 16 through the end of the season, posted a 1.07 ERA (4 ER/33.2 IP) while going 4-0 with one save in 33 appearances...Appeared in four games of the NLDS. Saved a team-leading 30 games in his first season with Oakland to become just the second A's pitcher over the last 10 years to save 30 or more games (Balfour, 38 in 2013)…it was his second career 30-save season (32 in 2011)…ranked ninth in the American League in saves but tied for second with seven blown saves…had the fourth lowest save percentage (81.1%)…was charged with all seven of his blown saves against AL West competition (Texas 3, Houston 2, Los Angeles 1, Seattle 1)…had a 5.73 ERA and .331 opponents batting average in 32 games against the West compared to a 1.42 ERA and .165 opponents average in his other 31 contests…was 10-for-17 (58.9%) in saves against the West, 20-for-20 against everyone else…was 6-7 with a 3.62 ERA in 63 appearances…the ERA was his highest since 2006 when he had a 5.69 ERA with Philadelphia…his .257 opponents batting average, .317 on-base percentage and .384 slugging percentage were also his highest since 2006…tied for third among AL relievers in losses (7), tied for seventh in wins (6) and tied for 10th in opponents grounded into double plays (8)…now has 622 games pitched in his career, which ranks 10th among pitchers active in 2016…allowed a .244 (29-for-119) batting average and five of his seven home runs against left-handed hitters compared to .270 (34-for-126) against right-handers…opponents were 1-for-11 (.091) with the bases loaded and they are 1-for-16 (.063) over the last two years…had a .283 opponents batting average over his first 15 pitches in a game, .167 after that…over the last two years, his splits are .253 (98-for-387) and .138 (12-for-87)…stranded all eight of his inherited runners…first batters faced hit .224 with a .286 on-base percentage…has a .195 (24-for-123) average against first batters over the last two years…had a 2.41 ERA and converted 16-of-18 (88.9%) save opportunities at home compared to a 4.94 ERA and 14-of-19 (73.7%) on the road…now has a 2.21 ERA (9 er in 36.2 ip) in 36 career appearances in the Coliseum…logged a 1.57 ERA during the day, 4.75 at night…posted a 6.59 ERA in 15 games on no days rest, 2.82 in his other 48 outings…opponents were successful in 8-of-9 (88.9%) stolen bases attempts with him on the mound and he ranked sixth among AL relievers in stolen bases allowed…yielded a .500 batting average to batters who put the first pitch in a play…did not enter a game earlier than the eighth inning…tossed at least one inning in 57 of his 63 appearances, including exactly one inning 51 times. Returned to the Major Leagues for the first time since the 2011 season and served as a key setup man in the Royals bullpen…made 68 relief appearances and was 1-2 with three saves and a career-low 2.13 ERA…also had career lows in opponents batting average (.205) and on-base percentage (.254)…ranked ninth among American League relievers in ERA and opponents on-base percentage…walked just 14 batters in 63.1 innings and his average of 1.99 walks per nine innings was the best of his career…had a 1.53 ERA and .157 opponents batting average over his first 37 games through July 11, a 7.00 ERA and .381 opponents average over his next 11 games from July 12 to Aug. 6, and a 0.95 ERA and .182 opponents average over his final 20 contests beginning Aug. 8…his .205 opponents batting average included a .205 (23-for-112) mark against left-handed hitters and .205 (24-for-117) against right-handers…allowed a .164 batting average with runners in scoring position, including .080 with RISP and two outs…yielded a .082 batting average with two strikes…first batters faced were 11-for-65 (.169) with three doubles, a walk and two hit by pitches…ranked seventh in the AL in opponents on-base percentage (.206) and slugging percentage (.215) against first batters faced and was 10th in batting average… allowed 7-of-26 (26.9%) inherited runners to score…went 3-for-5 (60.0%) in save opportunities but neither of his blown saves came in the ninth inning…compiled a 1.59 ERA and .194 opponents batting average in 30 appearances at Kauffman Stadium…had a 2.57 ERA and surrendered four of his five home runs in 38 games on the road…had a 1.44 ERA in 45 games at night, a 3.66 ERA in 23 appearances during the day…posted a 1.42 ERA in 15 games on no days rest, a 2.31 ERA in his other 53 appearances… did not allow a run in 13 games (11.2 ip) against AL West opponents and has a 1.27 ERA (4 er in 28.1 ip) in 26 career appearances against AL West competition…had a 1.87 ERA in 32 games against the AL Central…compiled a 1.69 ERA in 12 interleague outings…held the opponents four through seven hitters to a .126 batting average. Did not pitch in 2014 after being released by Los Angeles (AL) Aug. 5, 2013. Began the season on the disabled list with Los Angeles (AL) as he continued his recovery from April, 2012 "Tommy John" surgery…was assigned to Class-A Inland Empire on a rehab assignment May 13 and tossed a scoreless ninth inning that day against Visalia for the save (1 so)…that would be his only appearance in 2013 as his rehab assignment was halted May 23…was transferred to the 60-day disabled list June 25 and released Aug. 5. Missed entire campaign with Reds following Tommy John surgery to repair torn ulnar collateral ligament in his right elbow (4/11, Dr. Lewis Yocum)...Did not pitch in a Spring Training exhibition game...An MRI on March 24 revealed injury...Signed with Cincinnati as free agent Jan. 13, 2012...On Oct. 31, Reds declined mutual contract option for 2013. In his ninth season with the Phillies established a career high with 32 saves in 34 chances(94%)...converted his first 14 save opps, his best streak of the season...finished the season with 17 consecutivescoreless appearances (16.1ip), his best stretch of the year, and converted all 9 save opps in that span...from5/7-5/20 became the first Phillies pitcher to record a save in 7 consecutive victories since Doug Jones did itfrom 5/29-6/8, 1994...shut out the opponent in 53 of his 62 apps...in June and July spent time on the disabledlist with a bruised right hand...in August missed 2g while on paternity leave. Finished 5th in innings (82.2) and T-9th in appearances(76) among NL relievers...Posted a 1.04 ERA (3 ER, 26.0 IP) over a 22-game span,5/25-7/20...Had a season-best 9.0-inning scoreless streak, 5/25-6/15...Earned his lone save of the season, 8/10 vs PIT (1.0 IP)...Pitched at least 2.0 innings in 15 of his 76appearances; had a 2.08 ERA in those games...Held opposing hitters to a .167 (3-18) average with thebases loaded...Compiled a 0.63 ERA (1 ER, 14.1 IP) in his final 14appearances...Opposing hitters went 0-for-13 with RISP in his final 6appearances; overall, held hitters to a .225 (20-89)average with RISP...Went a combined 1-0, 2.13 ERA (3 ER, 12.2 IP) in 11playoff appearances. Took the losses in the first 2 games of the season, 4/2 & 4/4 vs ATL... Posted a 7.71 ERA with 3 HRallowed (6 ER, 7.0 IP) through his first 5 appearances and a 2.39 ERA with 2 HR allowed (13 ER, 49.0IP) through his remaining 33 games... Had 9 SO in 6.2 IP (12.2 SO/9.0 IP) over a 4-game span, 4/27-5/24... Was on the 15-day DL, 5/5-20 (left oblique strain) and again from 7/30 through the remainder of the season (right shoulder strain)...Finished the season with a 12.1-inning scoreless streak (8 G)... The Phillies went 17-5 in his final 22 appearances... Pitchedat least 2.0 innings in 15 of his 38 appearances (39%) and had a 2.56 ERA (9 ER, 31.2 IP) in those games... Posted a 2.08 ERA(6 ER, 26.0 IP) and had a .185 opponents' average against the NL East. Reached career highs in wins (11), innings (134.1) and strikeouts (99)...Began the season in the starting rotation...Collected his first 3 ML hits in the same game, 4/14 at COL, going 3-for-3 with a BB...Phillies went 5-1 in his first 6 starts...Moved to the bullpen following the promotion of LHP Cole Hamels...Pitched acareer-high 7.0 innings of relief and took the loss, 5/23 at NYM (1 ER, 4 H, 4 BB, 6 SO); first Phillie to pitch 7.0 innings of reliefsince Tommy Greene pitched 7.2 innings,4/20/91...Compiled a 3.48 ERA (4 ER, 10.1 IP) in 5 relief appearances in May beforereturning to the rotation...Made 11 more starts (5-4, 6.00 ERA) before moving back to the bullpen, where he remained forthe rest of the season...Pitched a career-best 8.2 shutout innings, 6/29 at BAL (5 H, 1 BB, 7 SO)...Overall,went 8-5, 6.28 ERA(63 ER, 90.1 IP) with a .329 opponents' batting average in 17 starts...Pitched 2.0 innings in 4 consecutive appearances, 8/4-11...Earned the save in back-to-back appearances, 8/22-25...Posted a 2.65 ERA (5 ER, 17.0 IP) over an 11-game span, 8/4-31; averaged 10.1 SO/9.0 IP in that span (19 SO)...Compiled a 3.46 ERA (5 ER, 13.0 IP) in his final 12 appearances, includinga 0.00 ERA (5.1 IP) in his last 5 games...Phillies went 29-21 (.580) in his 50 total appearances. Finished among the top NL relievers in innings pitched for the second straight season. His 78 appearances put him third on the Phillies' All-Time single-season list. ... Had a 3.68 ERA before the All-Star Break, but a 4.79 after. Won final bullpen spot out of spring training...Had the best ERA (2.34) by a Phillies rookiepitcher since Don Carman in 1985 (2.08 - min. 75.0 IP)...Finished season with 3rd-best relief ERA (1.65) in ML andbest among non-closers (Benitez - 1.29; Nathan - 1.62)...9 wins led all NL rookies and were tied for 3rd among allML relievers...Ranked 6th among NL rookies in SO (55) and IP (77.0) and 8th in games (52)...Set Phillies rookierecord by not allowing an earned run in first 21.0 innings of career (19.0 IP in 2004)...Served 3-game suspension,4/16-18, for throwing at Frank Catalanotto during a spring training game vs TOR in Dunedin, 4/1...Earned 1st MLwin, 4/28 at STL, with career-high 4.0 shutout innings of relief...Earned 1st ML save, 5/13 at SF...Did not allow ahome run until 6/2 vs NYM, when Todd Zeile hit a 3-run HR in the 8th inning to tie the game (1st blown save);halted a streak of 34.1 straight innings without allowing one (including 2003)...Made first/only ML start, 6/8 atCWS (ND, 0.2 IP, 6 H, 6 R, 6 ER, 1 BB, 3 HR)...Had a 21.0-inning scoreless streak, 6/22-7/19, best among Philliesrelievers...Won 5 straight decisions, 6/26-9/9, tied for 2nd-best winning streak among NL rookies...Placed on 15-day DL, 7/27, with a sprained ligament in his right hand...Activated on 9/3...Pitched 2.0 or more innings in 20 ofhis 52 appearances; was 5-1, 0.97 ERA in those situations. Went to spring training with the major league club, but did not appear in any games ... Began season with Clearwater (A), where he made 2 starts before being promoted to Scranton (AAA) ... Finished tied for 2nd in International League in wins (12), 3rd in strikeouts (138) and 5th in innings (157.0) ... Went 2-for-3, 2 RBI, 5/7 at Louisville ... Tallied a 10-2 record over 15 starts, 5/2-7/20 ... Starting pitcher for IL in Triple-A All-Star Game (1.0 IP, 1 R, 0 ER, 1 BB, 2 SO) ... Went 3-for-3, 7/20 at Richmond ... Had 1.16 ERA (3 ER, 23.1 IP) in final 4 starts of season ... Hit .462 (6-13) for season ... Recalled by Phillies on 9/2 ... Made 1st and only ML appearance, 9/27 vs ATL, with 2.0 scoreless innings, retiring all 6 batters he faced ... Went 0-2, 3.75 ERA (5 ER, 12.0 IP) in 3 starts for the 2003 USA Olympic Qualifying Team during October. Spent entire season with Reading (AA) and became the first pitcher in the Phillies minor league system to win 16 games since Rich Hunter won 19 in 1995 . . . Won annual Paul Owens Award as the best pitcher in the Phillies minor league system . . . His 16 wins led the EL, finished 2nd with 132 SO and 3rd with a 3.20 ERA and 171.1 IP . . . Became the first Reading pitcher to lead the league in wins since Bob Scanlan had 15 in 1987 . . . His 16 were the most wins by a Reading pitcher since Mark Davis' 19 in 1980 . . . Was the starting pitcher for the Eastern League in the double-A All-Star game (1.0 IP, R, ER, SO) . . . Reading's Opening Day starter . . . EL Pitcher of the Week, 5/13-19 (2-0, 0.00 ERA, 14.0 IP, 13 SO, 3 BB) . . . Took a no-hitter into the 8th inning, 6/22 at Bowie, but settled for a CG 2-hitter (1 of 5 two-hitters thrown in the EL) . . . Won 5 straight starts 5/14-6/3 (33.1 IP, 33 SO . . . Phillies Minor League Pitcher of the Month for May (4-1, 3.18 ERA, 39.2 IP, 40 SO) . . . Earned his 10th win of the season 7/3 vs. Erie; first Reading pitcher with 10 wins before the All-Star break since Robert Dodd in 1999 . . . EL post-season All-Star . . . Pitched at least 5.0 innings in 25 of 26 starts . . . Went 10-1 in 13 road starts . . . Held opponents to a .242 average; righties: .232 . . . Hit .250 (4-16) with 2 2B, RBI, R . . . In 32 starts since August 1, 2001 has gone 19-6 with a 3.09 ERA (70 ER, 203.2 IP), 160 SO and 65 BB . . . Rated the 14th-best prospect in the EL by Baseball America. Spent season with Clearwater (A) . . . Pitched CG 6/4 vs Jupiter (8.0 IP, 1 ER) . . . Placed on DL 6/23 (right intercostal strain) . . . Activated 7/27 . . . Finished August with a 0.98 ERA (27.2 IP, 3 ER) . . . Held left-handers to .227 avg . . . Rated Phillies' 13th-best prospect by Baseball America . . . Pitched in FIL. Began season in extended spring training . . . Promoted to Piedmont (A) 5/8 . . . Tied for 1st in South Atlantic League in wins (14) and 3rd in ERA (2.59) . . . Had best ERA for all Phillies minor leaguers . . . Twice named Phillies Minor League Pitcher of the Week, 5/15-21 and 7/24-30 . . . Phillies Minor League Pitcher of the Month for August (5-0, 1.14 ERA) . . . Had two 6-game win streaks, 6/8-7/14 (48.0 IP, 12 ER) and 7/30-8/26 (38.2 IP, 6 ER) . . . Pitched at least 6.0 IP in 15 of 21 starts . . . Rated Phillies' 4th-best prospect by Baseball America. Pitched at Batavia (A) . . . Led all Phillies short-season minor leaguers in IP and SO . . . Rated Phillies' 10th-best prospect by Baseball America . . . Pitched in Florida Instructional League. Made pro debut at Martinsville (R) . . . Florida Instructional League. October 29, 2018 RHP Ryan Madson elected free agency. 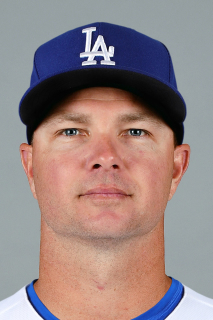 August 31, 2018 Washington Nationals traded RHP Ryan Madson to Los Angeles Dodgers for RHP Andrew Istler. August 27, 2018 Washington Nationals activated RHP Ryan Madson from the 10-day disabled list. August 14, 2018 Washington Nationals placed RHP Ryan Madson on the 10-day disabled list. Back discomfort. May 31, 2018 Washington Nationals activated RHP Ryan Madson from the 10-day disabled list. May 20, 2018 Washington Nationals placed RHP Ryan Madson on the 10-day disabled list retroactive to May 17, 2018. Chest strain. September 1, 2017 Washington Nationals activated RHP Ryan Madson from the 10-day disabled list. August 17, 2017 Washington Nationals placed RHP Ryan Madson on the 10-day disabled list retroactive to August 14, 2017. Right finger sprain. July 18, 2017 Washington Nationals activated RHP Ryan Madson. December 11, 2015 Oakland Athletics signed free agent RHP Ryan Madson. November 2, 2015 RHP Ryan Madson elected free agency. April 5, 2015 Kansas City Royals selected the contract of RHP Ryan Madson from Omaha Storm Chasers. January 4, 2015 Kansas City Royals signed free agent RHP Ryan Madson to a minor league contract and invited him to spring training. January 4, 2015 RHP Ryan Madson assigned to Omaha Storm Chasers. August 5, 2013 Los Angeles Angels released RHP Ryan Madson. June 25, 2013 Los Angeles Angels transferred RHP Ryan Madson from the 15-day disabled list to the 60-day disabled list. Recovering from April 2012 Tommy John surgery. May 13, 2013 Los Angeles Angels sent RHP Ryan Madson on a rehab assignment to Inland Empire 66ers. March 30, 2013 Los Angeles Angels placed RHP Ryan Madson on the 15-day disabled list retroactive to March 22, 2013. Recovering from April 2012 Tommy John surgery. November 28, 2012 Los Angeles Angels signed free agent RHP Ryan Madson. November 3, 2012 RHP Ryan Madson elected free agency. October 30, 2012 Cincinnati Reds activated RHP Ryan Madson from the 60-day disabled list. April 4, 2012 Ryan Madson roster status changed by Cincinnati Reds. April 4, 2012 Cincinnati Reds placed RHP Ryan Madson on the 60-day disabled list. Recovering from April 2012 Tommy John surgery. January 20, 2012 Cincinnati Reds signed free agent RHP Ryan Madson. October 30, 2011 RHP Ryan Madson elected free agency. August 6, 2011 Philadelphia Phillies activated RHP Ryan Madson from the paternity list. July 15, 2011 Ryan Madson roster status changed by Philadelphia Phillies. July 13, 2011 sent RHP Ryan Madson on a rehab assignment to Clearwater Threshers. July 8, 2010 Philadelphia Phillies activated RHP Ryan Madson from the 60-day disabled list. July 5, 2010 Reading Phillies sent RHP Ryan Madson on a rehab assignment to Lehigh Valley IronPigs. July 2, 2010 Ryan Madson assigned to Reading Phillies from Clearwater Threshers. June 27, 2010 Ryan Madson assigned to Clearwater Threshers. May 9, 2010 Philadelphia Phillies transferred RHP Ryan Madson from the 15-day disabled list to the 60-day disabled list. April 30, 2010 Philadelphia Phillies placed RHP Ryan Madson on the 15-day disabled list retroactive to April 29, 2010. Broken right great toe.